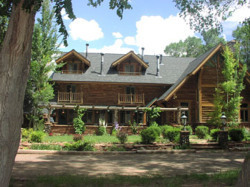 In the Lodge at Red River Breakfast Mon-Sun 7:30 a.m. - 9:30 a.m. Selection includes: French Toast, Blue Berry Pancakes, Chilaquiles, Homemade Granola, Farm Fresh Eggs, Bacon, Rolled Oats, etc.Groups welcome (reservations strongly recommended). Call during low season (Nov-April). Dinner served Fri-Sat 5:30 p.m. - 8:30 p.m. Other nights available by reservation. Selections include Buffalo Tenderloin, Buffalo Burgers, BBQ Babyback Ribs, Ribeye Steak, Grilled Chicken, Vegetarian, Local Trout. Groups welcome. Reservations strongly recommended. Call to confirm dinner service during low season (Nov-April). 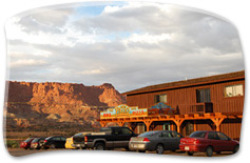 435-425-3389, 2523 East Hwy 24, Torrey, UT 84775. Open all year. A spaghetti western cafe. Pizzas, pastas, bbq sandwiches, and a wide variety of domestic, import, and microbrew beer. Disc golf course and live music. On the edge of Capitol Reef National Park. 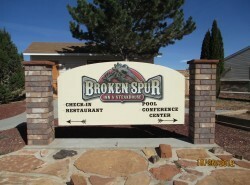 435-425-3388, 2523 East Hwy 24, Torrey, UT 84775. Open Mar - Nov. Liquor, beer, wine available. 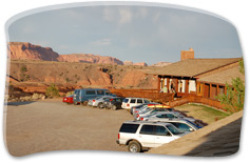 A taste of the Old West; affordable food and fun with unforgettable 360 degree views of Capitol Reef. Comfort foods, great veggies, healthy meals professionally prepared to order. 435-425-3710, 165 East Main, Torrey, UT 84775. Open Mar - Oct., 11 am - 9 pm daily. Offers good old-fashioned burgers and fries cooked to order, drinks. Try our famous Super Burger, Pizza Burgers and thick, creamy milkshakes. Call in orders welcome. Nestled below the Boulder and Thousand Lake Mountains in southern Utah, Cafe Diablo offers a fresh dining experience that celebrates the outdoors and the red rock wonders that surround us. Dine outdoors on our patio or indoors in the midst of our fabulous local art collection and enjoy a seasonally inspired menu with a casually sophisticated ambiance. By showcasing local flavors and ingredients, we create dishes that please the palate and the eye. And after the main meal, may we suggest you save room for dessert. We make all of our pastries and ice cream on the premises daily, and they are simply scrumptious.